“We need an ambitious and long-term bioeconomy policy framework to enable the creation of a Bioeconomy Single Market. The framework needs to ensure predictability to investors and companies, enhance risk-taking capacity and define priority pathways to move towards a low carbon economy, where a circular bioeconomy becomes a growth engine”. Marc Palahí, director of the European Forest Institute, talks to Il Bioeconomista. 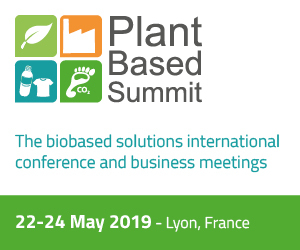 In this long and exclusive interview, released after the Second edition of the European Bioeconomy Summit, he talks about the next steps which are needed to place the bioeconomy at the core of the EU industrial, climate and sustainability agenda. “It’s time to deliver!” This is, extremely briefly, the message that comes from the second edition of the Bioeconomy Investment Summit, which was held in Helsinki last Thursday, December 14. In this invitation made at the opening of the summit by the former Swedish prime minister, Göran Persson, it can be synthesized the will of over 300 summit participants to move rapidly towards the creation of new markets for the bioeconomy and to accelerate the transition to a new, more sustainable economy, which finally could leave the GDP behind as an indicator of welfare of the countries. “From the sustainable perspective, GDP is a misleading measure of success”, said Robert Costanza, professor at the Australian National University. 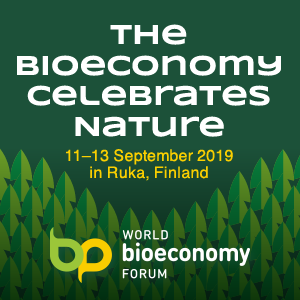 The second edition of the Bioeconomy Investment Summit is going to start today in Helsinki, Finland, at Finlandia Hall, organized by the European Commission and the European Forest Institute. Over 30 speakers from across the globe are going to share their views on how we can bring together the economy and the environment. The second edition of the Bioeconomy Investment Summit will take place on 14-15 December in Helsinki, Finland, organized by the European Commission and the European Forest Institute. Over 30 speakers from across the globe will share their views on how we can bring together the economy and the environment. 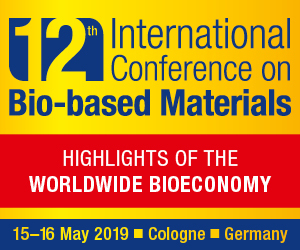 “New advances in technology – the organizers say – mean that everything that can be made out of oil can be made from renewable, biological resources. There are huge environmental and business opportunities for a wide range of industries: construction, chemicals, textiles, energy, plastics”. Finland is the cradle of the bioeconomy. And maybe someone could someday propose to change the name from Finland to Bio-land. The latest news is that buses in the Helsinki region and most of machinery and trucks used by the City of Helsinki are switching to waste and residue-based biofuels. Helsinki Region Transport HSL, the City of Helsinki and the producers of renewable fuels involved in the project are all pioneers in carbon-neutral transport. The project is internationally significant.